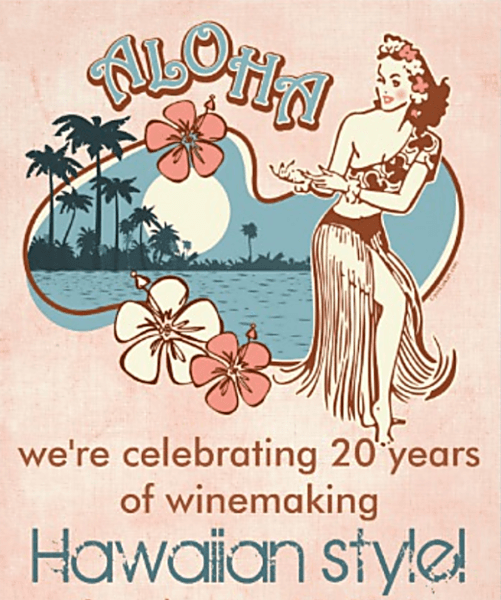 We have been producing wine for 20 years, which, of course, calls for a celebration! Since we can’t take you all on a tropical vacation, we’ve decided to bring a taste of Hawai’i to you right here at Laird Family Estate with our very own vintage-themed Laird Luau. Featuring: Pan Extasy a Caribbean Band, a Polynesian dance and drum performance, a Polynesian-fusion feast, tons of Laird wine, lots of fun, and more!!! Be sure to dress for the occasion–you could win a prize!